I spent the first three years of college in the business school at the University of Arkansas where the focus of my degree was transportation and logistics. Many of our discussions focused on Wal-Mart, which isn’t surprising considering Wal-Mart headquarters is nearby and the business school is named after its founder Sam Walton. The bulk of our study of Wal-Mart centered on their vast distribution network and technologically advanced distribution centers. It is an incredible thing to see this massive web of conveyer belts at work. At that time they could do things that no other company could do because of the efficiencies their distribution system allowed them to accomplish. This distribution system was a main driver in their ability to expand into new areas quickly as well as keep their prices lower than most competitors, because they were able to get products from manufacturers to the store shelves at an incredible speed. This is a great way to do business, but not a great way to do student ministry. Yet, there are many who approach student ministry with a similar conveyer belt production mentality. 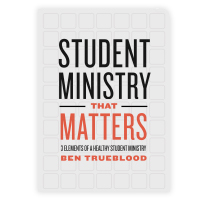 A common approach to student ministry is to say “when my students graduate and leave for college, what do I want them to look like?” This question sounds great. I love the forward thinking and planning aspect of it, but the unintended consequence of this question is that our student ministries look more like a distribution system of conveyer belts made to form the character of a student rather than a living organism where Jesus freely works in the lives of students on an individual basis. In order to create the desired college freshman we back up and establish a list of what students need to do and what they need to avoid doing. From there the belief is if a sixth grader is placed on the ministry conveyer belt (and they stick with the process) by the time they graduate they will know how to be good Christian boys and girls. Only, creating good Christian boys and girls isn’t the goal of a student ministry. “Good Christians” are produced by constantly feeding students information about what they should and shouldn’t do. It’s creating for them a list that they can complete and when they complete the list they look good and it makes the leader feel successful. The unfortunate part of this is that they’ll never be able to complete the list only leading them to a life of spiritual failure and spiritual depression. Why? Because they are led to an impossible standard of living instead of being led to Christ. 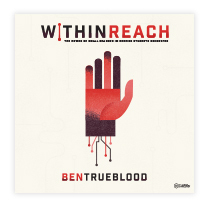 This model of student ministry teaches them to trust in themselves and what they can accomplish rather trusting in what Jesus has accomplished for them. Student ministry fails when it becomes about shaping a student’s character apart from the life-giving power and freedom of the gospel. Here are two keys to seeing real, long-lasting transformation in your student ministry. 1. Lead your students to God’s word, always. In John 15:5 Jesus says, “I am the vine; you are the branches. The one who remains in Me and I in him produces much fruit, because you can do nothing without Me.” Jesus’ words here are clear: unless your students remain in Him they will never produce the fruit of a disciple. 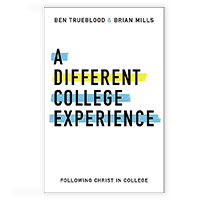 Being connected to Jesus is the key component in developing students who are reproducing disciples who view their lives as tools for God’s glory. Transformation cannot happen apart from Him, and the primary way that your students “remain” in Jesus is to “remain” in His word. Character transforming ministries consistently point students to God’s word and help them apply those truths to the deepest parts of who they are. Student ministries can be known for a lot of things and the reality at this point in our culture is that we need more student ministries that are known for their faithful preaching of God’s word and an intense commitment to teach students how to study the Bible for themselves. Sadly, there are far too many students leaving for college with the Bible still feeling awkward in their hands. 2. Challenge your students with theology and doctrine. As students begin to build a skeleton of theology and doctrine it will provide the support they need to filter through the many decisions of life in a God honoring way. As a student pastor you want students in your ministry to share the gospel, make disciples, and live a holy life. Some common ways to motivate students to do that is to constantly talk about it, guilt them into it, or explain the benefits of living that way. These are temporary approaches that result in short-term impact. The character-transforming ministry will engage students in the challenging things of their faith and lead them to understand the “why” behind what they believe. In a character-transforming ministry students will be challenged with the intellectual side of their faith as well as the behavioral side of their faith. As your students see more of who God is and how He interacts with them, they develop an intense love for Him that can’t help but affect their lifestyles. Student ministry isn’t meant to be a conveyer belt that attempts to produce students who all look the same and act the same. Your students are all different and their path of discipleship will be different. 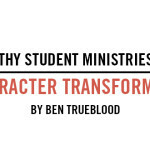 Healthy student ministries are character-transforming ministries whose goal is to help students know Jesus, allowing Him to transform their hearts and inform their decisions. The result is a group of students who are reproducing disciples of Jesus that view their lives as tools for God’s glory.